Which Flowers Are in Season in April? With the arrival of spring warmth comes an abundance of beautiful floral blooms. Show the one you hold dear that you care and remind him that spring has finally come by selecting the April seasonal flowers with which to delight him. Whether you select a potted version or a cut option, your floral gift will be highly appreciated by the recipient. The amaryllis is a bulb flower that is often grown indoors, allowing lovers of all things floral to bring some outdoor appeal into their indoor space. These flowers feature bold, trumpet-shaped petals that give them an uncommon appeal. Buy your gift recipient an amaryllis alone, or get her an even less common gift featuring this flower with the 12 Months of Bulbs gift package from ProFlowers, which includes one floral bulb per month. 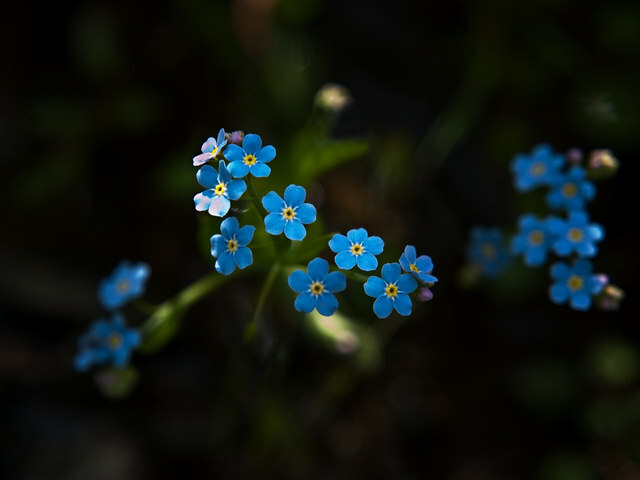 The tiny and delicate forget-me-not flower flourishes in April. These petite flowers features bold blue blooms that rest on short stems, making them ideal as filler flowers or for inclusion in a nosegay. Buy your flower recipient a potted version of this plant as a springy gift he can display either in his home or on his front porch as a welcoming bloom. Spring-indicating lilacs first make their appearance in April. These shrub flowers feature a bold and aromatic scent. Surprise your recipient with some fresh-cut lilacs, or gift her a lilac bush to plant in her yard, giving her the opportunity to enjoy beautiful lilacs every spring. For many, the first sign of spring is daffodils tentatively poking their heads through the once frozen dirt. These bold yellow bulb flowers make a wonderful April floral gift. Select a collection of cut daffodils as celebration of spring, or choose a potted option, such as the Spring Chicks and Daffodil Basket from ProFlowers, which features not only beautiful daffodils but also fuzzy spring chick figurines.